Posted: Sun Dec 14, 2008 11:46 pm Post subject: Anyone else have this problem with the UCS Falcon? I mean, I've heard of extra parts, but this is ridiculous! And here's the Falcon in the background, just for proof. So am I just extremely lucky, or did anyone have a bunch of left and right 6x3 wing panels missing on theirs? So... extra parts is a problem for you? Are you absolutely sure you didn't miss a step. Perhaps is you dismantle it and rebuild it there will be fewer spares. That's barely 50 extra pieces. On a $500 set, that much extra sounds very reasonable. 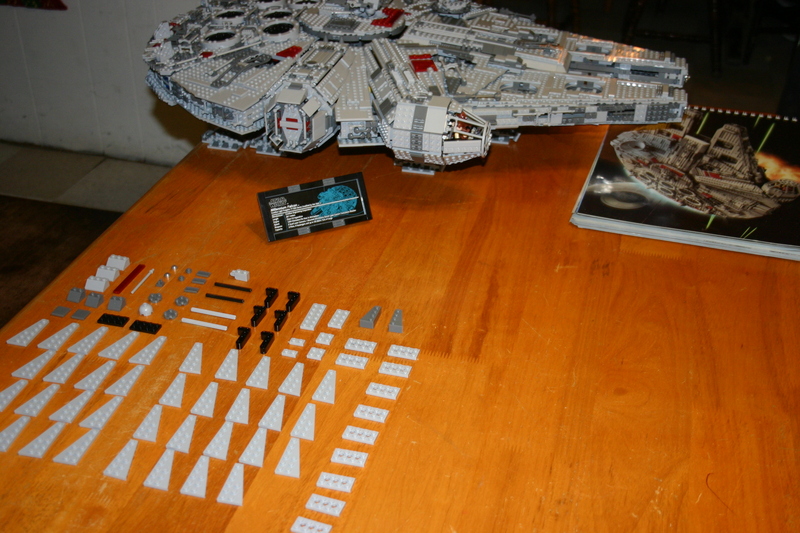 The Falcon has, what, five thousand pieces. It's less than 1%. I may have missed a couple pieces, but if I could bypass that many wing parts, I'd ask you to please slap me silly. That's actually 94 parts, including the parts that would be extra on a regular set, and that many large and unusual parts isn't excusable even on a set this size. 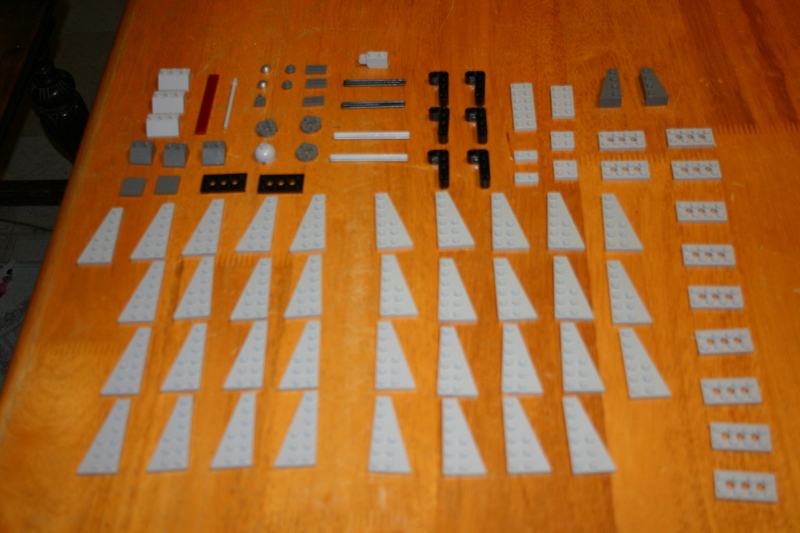 I remember when the set first came out, there were alot of reports of the amount of extra pieces being rather high. But still nothing wrong with this, extra parts are always nice. Are you upset about this? I'm not understanding the tone of your question, maybe. It seems like you're unhappy, but it's free stuff. If it really bothered you, I'm sure you could ship them back to LEGO and they'd be happy to resell them. I doubt any company would re-sell anything like that. Companies resell returned items all the time, sometimes after refurbishment. Reselling LEGO has zero risk. I can't imagine why you would doubt that. Mine was short parts. Go figure. Maybe you got them. I had the usual supply of spare small bits (scaled up for a set that size) but am missing one piece - a 2x2 tall block with the nobs on the sides - to complete the scanner dish. I have to get around to contacting Lego about that. Other than the usual extra 1x1 dots, my USC Falcon had extras of the little wings as well, I think 14 right and 14 left. Nice little bonus to a great set. Looks like you got an extra bag, or made some serious construction mistakes? I am MacDuff and I approved this message. That's actually 94 parts...that many large and unusual parts isn't excusable even on a set this size. Excusable? Somebody explain to me how the LEGO group has no right to include extra pieces. Missing pieces would be a different story, but extra? How can giving more than you need be wrong? or made some serious construction mistakes? That is also a very likely reason. you are lucky. if i ever get that, i should see if i have that many. i know the bikini bottom express set i bought had an extra spongebob fig in it, so dont complain, be happy. Dude, I would be happy with those extras. There are actually quite a few useful pieces in there! 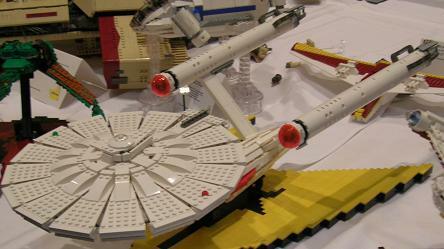 Yes, I remember building the origional Falcon, the had like 50+ peices left over. Turns out I forgot to build the cockpit and the speeder. Well it turned out my instruction manual was missing said pages. And I was only 8. And I don't keep my boxes so I had no real idea what the set looked like. I think he meant he didn't know how exactly the set was constructed. Yes, I has no idea how the finished set would look like and only a vague idea of what the Mf looked like.